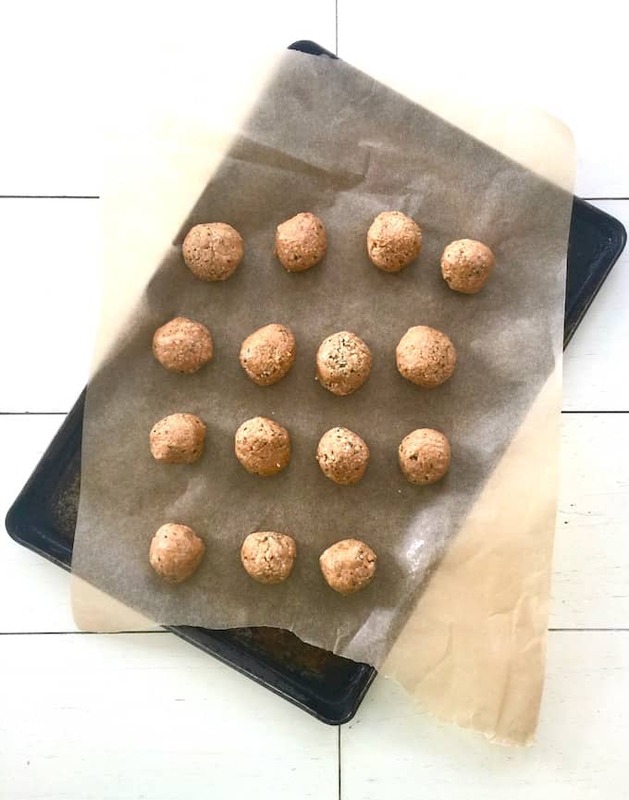 There aren’t many things I like more when it comes to food than delicious, nutritious snacks like these easy protein bites. Something that takes 10 minutes to do — from gathering the ingredients, actual prep time, and clean up —that also results in snacks for days is a total win in my book, and I’m sure in many of yours. What I love about this recipe is that it’s sweet from the vanilla, peanut butter, and caramel MCT oil, but there’s absolutely no sugar in it! Caramel MCT oil, you may be wondering? 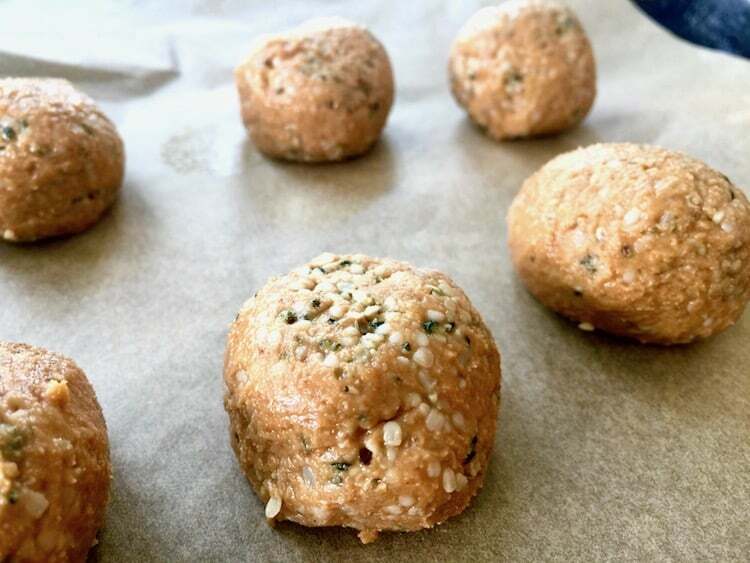 These protein bites are loaded with healthy fats from the MCT oil, hemp seeds, peanut butter and vegan butter (depending what you use; I like Miyoko’s Organic European-Style Cultured Vegan Butter made from coconut oil). If you’re following a high healthy fat diet, these protein bites would be considered “fat bombs” and make a perfect addition to a Keto/Ketogenic diet. Each serving (2 balls) has 4 grams of carbs, 12 grams of protein, and 23 grams of fat (according to the carb manager app, when using the exact ingredients specified in the recipe). Feel free to swap out the peanut butter for any other nut or seed butter. 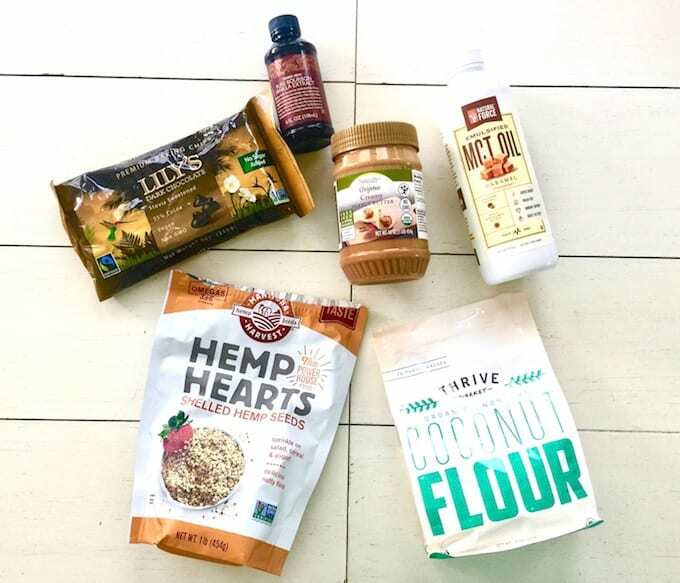 I haven’t tried substituting the hemp seeds for chia seeds, but I bet it would work just fine! For a fun twist, you could also coat these in chocolate. I recommend melting 1 tablespoon coconut oil with 1/2 cup of Lily’s Stevia Sweetened Chocolate Chips (or any vegan chocolate chips or your choice, or about 6 ounces of a dark chocolate bar) and dipping the balls in chocolate, then popping in the freezer to set. 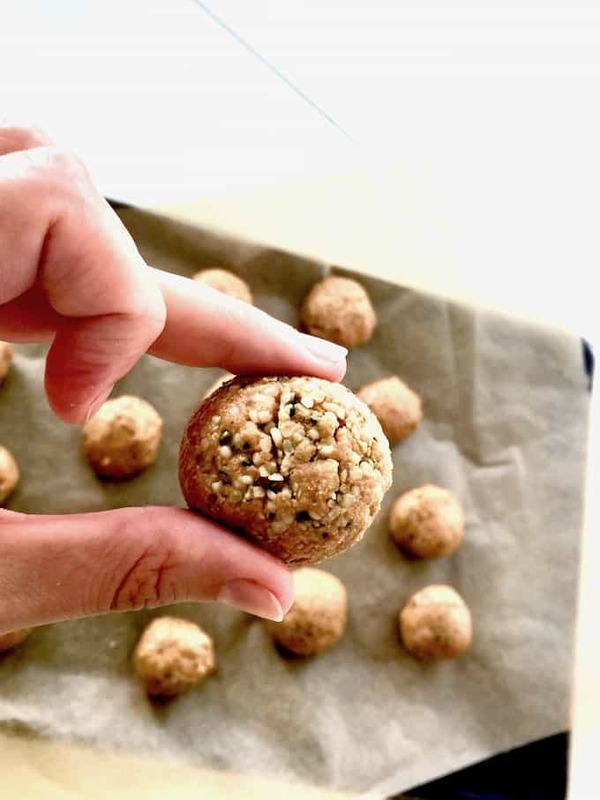 This easy protein bites recipe is sweet and satisfying with absolutely no sugar! These Fat bombs are friendly for a vegan, gluten free or keto diet. Melt the peanut butter and vegan butter together in a saucepan over low heat. Roll into balls and place onto parchment paper. Place in the fridge or freezer to set. For a fun extra twist, you could also coat these in chocolate. Melt the coconut oil with chocolate chips and dip the balls in the chocolate mixture, then place in the freezer to set. *instead of MCT oil, you can use either a nuatral, sugar free liquid sweetener like Lakanto or Yacon Syrup, or simply use maple syrup for a nice unrefined sugar option.